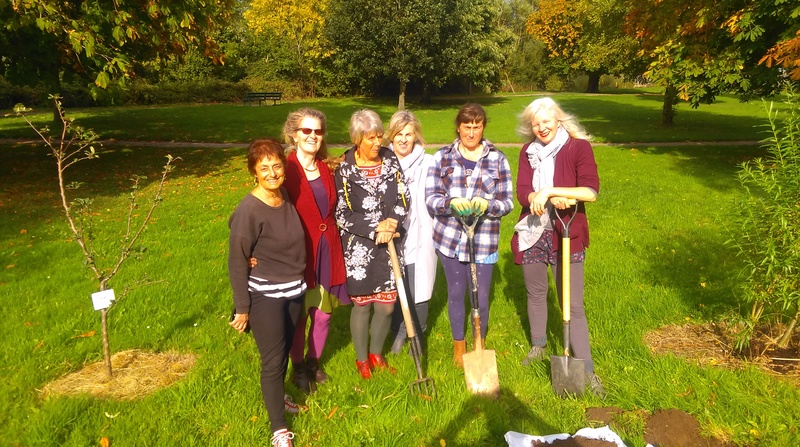 Help to recreate the historic orchards of Clonmel by sponsoring and planting new apple and edible tree orchards. 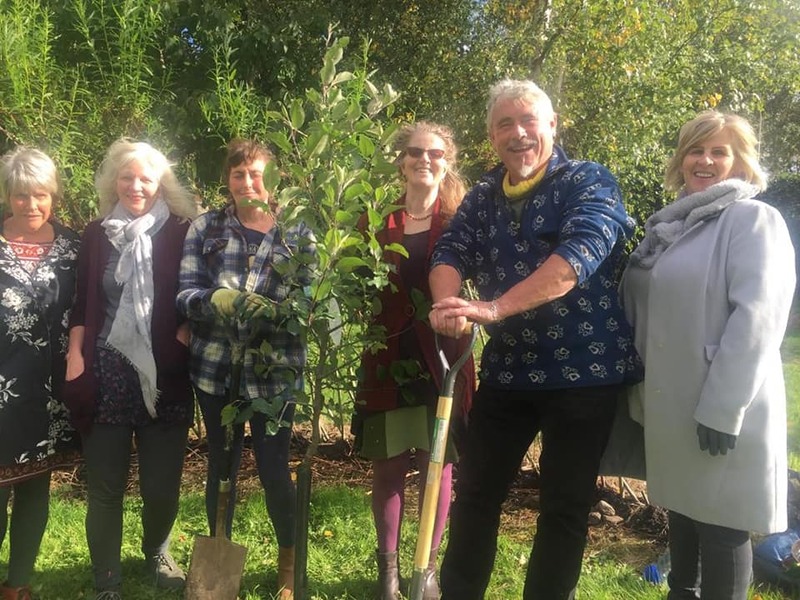 In 2017, we started planting apple trees to form a linear orchard along the river Suir. These trees were sponsored by local businesses and Clonmel Tidy Towns. 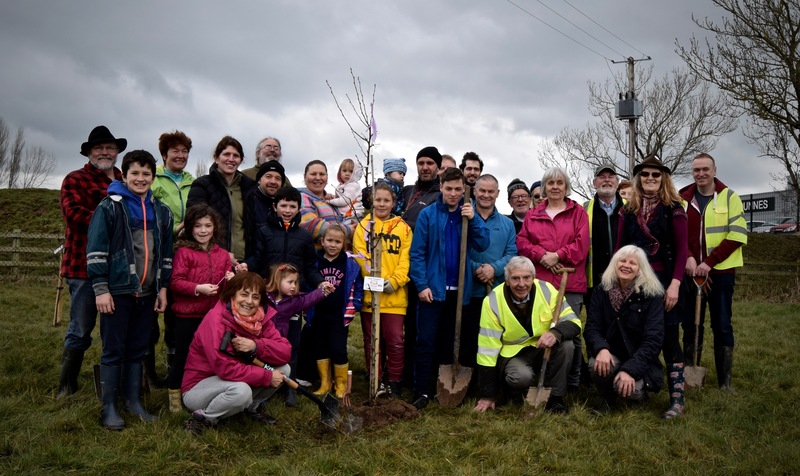 In 2018, we opened the scheme to the general public and we have now reached the 100 tree mark in 7 different locations. 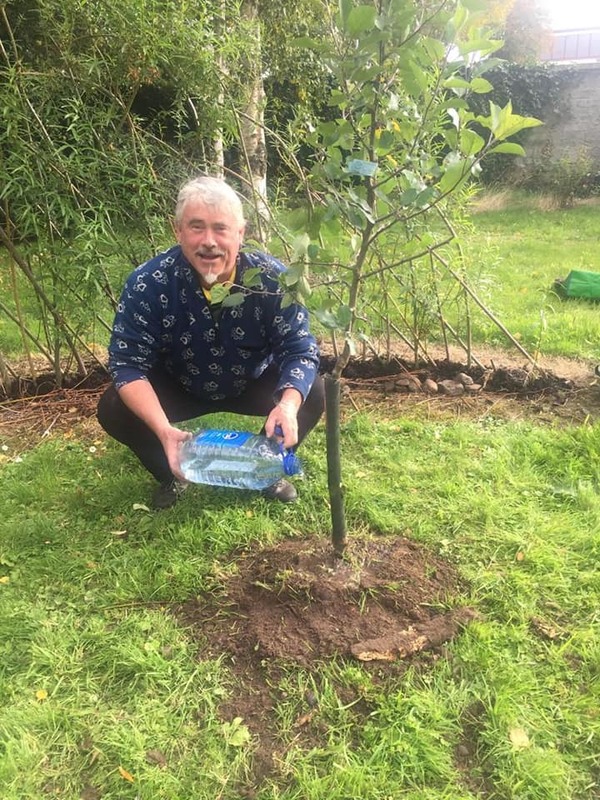 Whether you are celebrating a special event, a beloved person far away or remembering a loved one, planting a tree is a special way to make a dedication whilst contributing to Clonmel’s public realm and improving the habitat of bees, insects and birds. Each tree will have a durable plaque with a name dedication and the apple variety inscribed upon it. 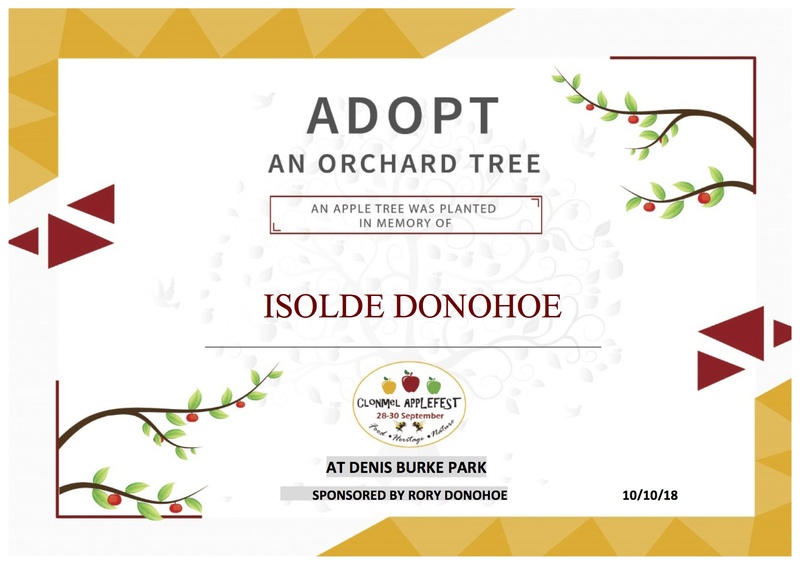 The cost is €75 per tree and includes a durable plaque and a printable electronic certificate. Drop us an email at clonmelapplefest@gmail.com and we will get back to you promptly. ‘Truly delighted to discover our tree in Clonmel. I can’t wait to come visit it again. Very special and thank you.’ Patsy (Prior), tree sponsor.